Edited by Reiulf Ramstad, Boris Brorman Jensen. Text by Poul Erik Tøjner, Niklas Maak, Charles Waldheim. Reiulf Ramstad is one of Norway's most promising architects and a leading exponent of a new and revitalized Nordic architecture. 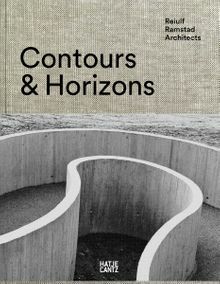 This anthology, edited with Danish architectural critic Boris Brorman Jensen, presents a series of moderated conversations between Reiulf Ramstad and a number of artists, philosophers and leading thinkers in Europe, the US and the Nordic countries, discussing contemporary conditions for architectural practice. Also included in the book is an exclusive selection of richly illustrated recent projects. Clth, 14 x 12.25 in. / 400 pgs / 250 color.